The castle of Drena. Discover Lake Garda! If you take the small road to Riva from Sarche, you will pass the picturesque Lake Calvedine or Lago di Calvedine. From here you come to a winding path that leads up to the wild romantic castle ruins of Castello di Drena. The stately castle complex was a substantial base in the Middle Ages. The 25-metre-high watchtower served to observe the main path connecting the Sarca plain with the Cavedine Valley. 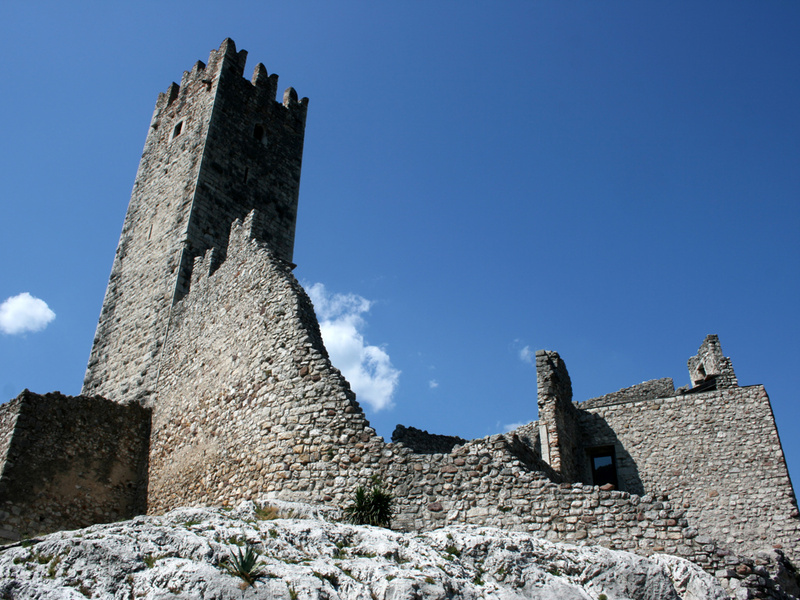 The castle once belonged to the Lords of Sejano and then fell into the hands of the Counts of Arco. The Conti d'Arco were widely known for their violence and ruthlessness, as well as for their determination. Through any means possible, they would try to increase their power. They expanded in 1703 when a French army under General Vendôme moved against Trento and destroyed the Castello di Drena. 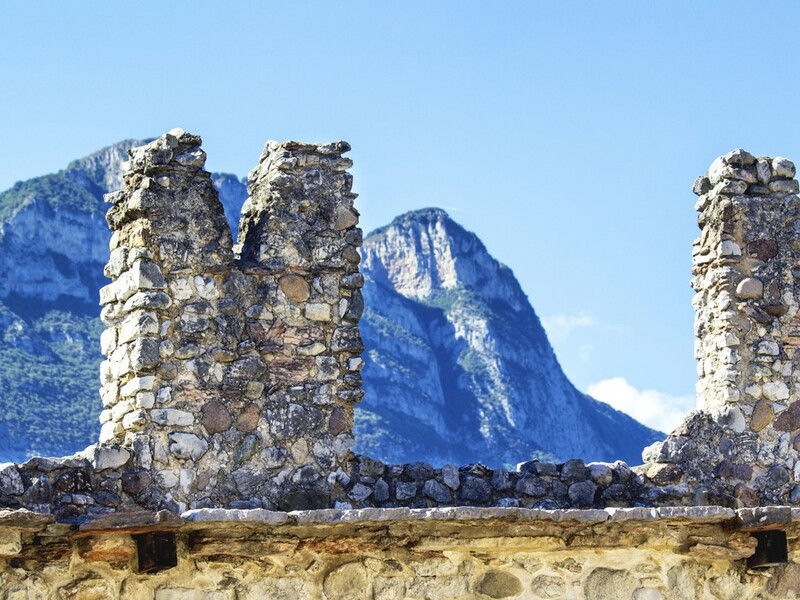 At the same time, the general had the ancestral seat of the Conti d'Arco - the castle of Arco - and almost all other castles of the area around Lake Garda destroyed. 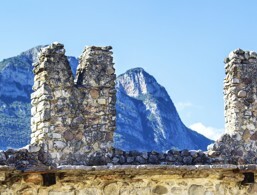 In the 1980s, the walls were thoroughly renovated and partially rebuilt by the province of Trento. An exhibition displays the history of the castle and well worth seeing are the Ghibelline ring wall, the royal palace and the small chapel. The 25-metre-high castle tower has been exceptionally well-preserved. The former watchtower overlooks over the complex and offers a magnificent view of the Sarca Valley with its rocks cut smooth by glacial movements from the Ice Age and the stone desert of the Marocche. This peculiar landscape was also created in the Ice Age when the glaciers faded, and the mountainsides tumbled into the valley. Like many other castles of Trentino and the Lake Garda region, festivals are held here in the summer. On special days medieval markets are also organised.